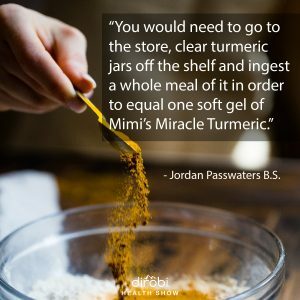 035 The Amazing Healing Power of Turmeric - Dirobi Blog In this episode we explore the science behind Turmeric and Curcumin, and the cool research and clinical studies that have gone into turning Turmeric into something that anybody with joint pain should consider as part of their natural care and healing. With special guest Tony Montanari, PhD. in Medicinal and Natural Product Chemistry. Learn about the science and research behind Turmeric, the new "wonder supplement" for people with joint pain. 5:20 Introduction: Tony Montanari. He has his Ph.D. in Medicinal and Natural Product Chemistry. Recently worked in the Department of Citrus in Florida and currently works as the Lab Manager at Earth’s Creation. 6:00 Introduction: Jordan Passwaters. He has his B.S. in Biology. He is the Head of Research and Development at Earth’s Creation and has been working at the company for the past 8 years. 8:20 The science behind how the body utilizes turmeric and curcumin in a variety of positive ways. 9:25 The vast health and wellness benefits of turmeric and curcumin including cognitive health improvement, joint mobility and overall body comfort and function. 11: 15 On how curcuminoids carry the turmeric into the body. 12:35 Joint pain is the #1 cause of disability in the U.S. Creating a supplement that positively affects the joints is the cause of healing for a lot of people. 13:20 You would need to go to the store and clear turmeric jars off the shelf and ingest a whole meal of it in order to equal one soft gel with curcuminoids in it. 14:00 On how the body’s defense mechanism recognizes and rejects some useful chemicals using the century enzymes within the stomach lining. For this reason, many of the curcuminoids are not absorbed into the bloodstream. 16:00 Earth’s Creation project of creating the MyCell. Causes 45 times the curcuminoids to enter the bloodstream. 17:00 Competitors come close with other methods but the MyCell is still 10 times more effective than the top competitor’s best and 45 times better than the mainstream. 18:00 Dave’s testimonial on chronic pain in his forearms and reversing it with this amazing product! 19:40 The chemistry behind how they formulated the curcumin and turmeric product. 23:45 Clinical Study #1: A control group of 30 people and 30 test subjects. Looked at the blood levels every hour for 24 hours. After 3 hours, massive spike in curcumin enters the blood and tails off very slowly, staying in the system longer than most products, and allowing it to enter the key organs. 25:05 Clinical Study #2 A control group of 60 people and 60 patients with Osteoarthritis. They are questioned using a detailed Scientific Method questionnaire sheet to gauge pain levels. Bone and joint pain and flexibility improvements and relief were drastically higher in patients taking the Curculite than the placebo group. 29:15 The average pain reduction was 95% in the patients taking curcumin and turmeric. 30:00 In day 7 they could claim a decrease in pain and almost no pain after 60 days! 31:30 The biggest demographic of people who benefit are those affected by joint pain or any type of inflammation. That means almost EVERYONE! 32:25 How to get the befits from turmeric without having a diet based on it. 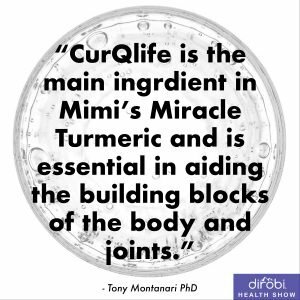 35:20 Mimi’s Miracle Turmeric is now for sale on Dirobi.com and Amazon for all who are interested in this incredible product! 39:00 Analogy of Glucosamine Chondroitin being the bricks of the house that the body is made up of. CurQlife is the guy who tells the body to put the bricks in place. 40:30 On how Vitamin K benefits the body. 44:05 Bioavailability is far superior to any other product of its kind. Subscribe to the podcast in iTunes! https://itunes.apple.com/us/podcast/the-escape-the-matrix-health-show/id1313550845Right click here and save as to download this episode to your computer.Note that this information is presented as educational in nature and is not intended to diagnose, treat, or cure or prevent any disease. Joint pain is the #1 cause of disability in the US. For people suffering with joint pain, Turmeric is being touted as the new natural wonder supplement. In this episode we explore the science behind Turmeric and Curcumin, and the cool research and clinical studies that have gone into turning Turmeric into something that anybody with joint pain should consider as part of their natural care and healing. 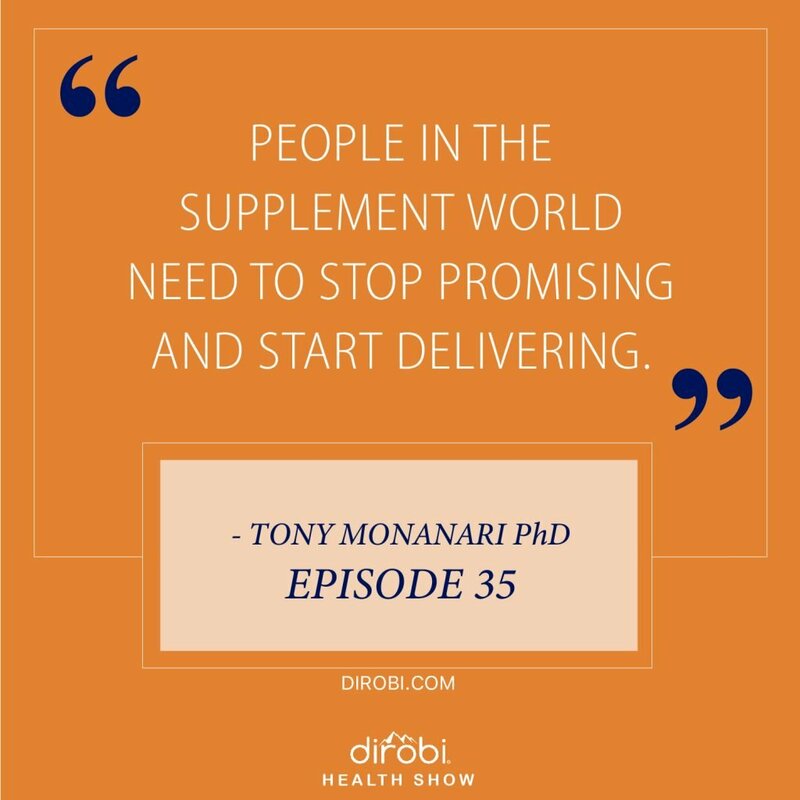 With special guest Tony Montanari, PhD. in Medicinal and Natural Product Chemistry. 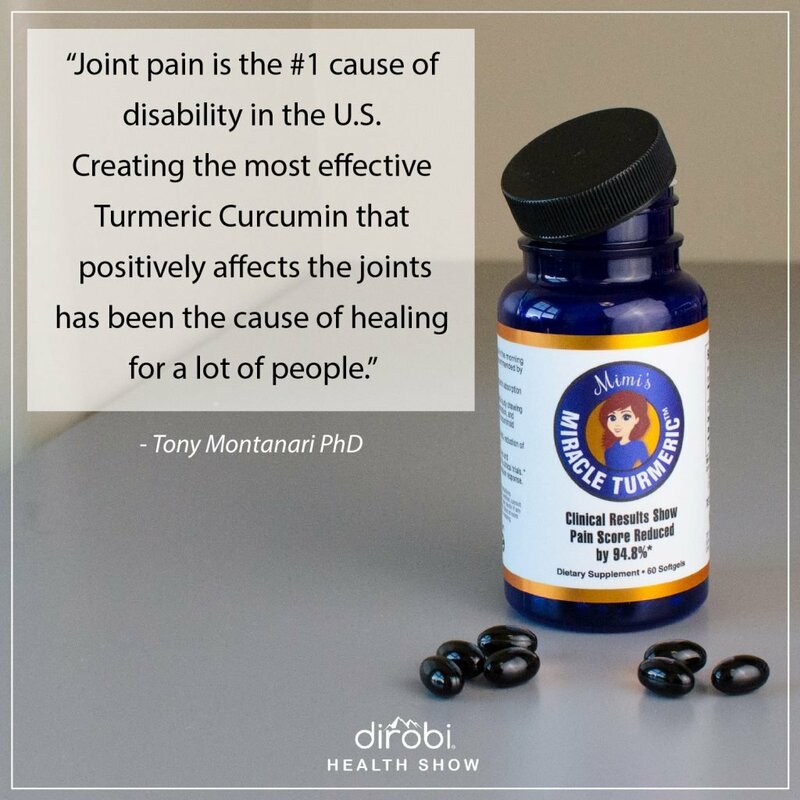 Learn about the science and research behind Turmeric, the new “wonder supplement” for people with joint pain. 11: 15 On how curcuminoids carry the turmeric into the body. 12:35 Joint pain is the #1 cause of disability in the U.S. Creating a supplement that positively affects the joints is the cause of healing for a lot of people. 13:20 You would need to go to the store and clear turmeric jars off the shelf and ingest a whole meal of it in order to equal one soft gel with curcuminoids in it. 14:00 On how the body’s defense mechanism recognizes and rejects some useful chemicals using the century enzymes within the stomach lining. For this reason, many of the curcuminoids are not absorbed into the bloodstream. 46:50 Anyone 18+ can benefit from this product (excluding children and pregnant or nursing women). https://itunes.apple.com/us/podcast/the-escape-the-matrix-health-show/id1313550845Right click here and save as to download this episode to your computer.Note that this information is presented as educational in nature and is not intended to diagnose, treat, or cure or prevent any disease.